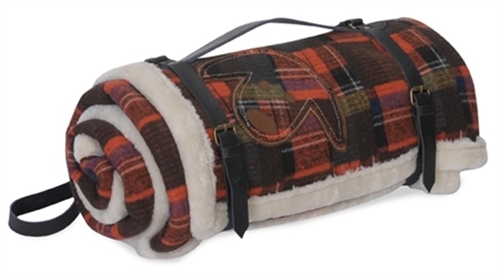 The Hugglehounds Wooly Madras Waterproof Throw with leather strap is reversible. Has faux sheepskin fabric. This throw has water-repellent liner. 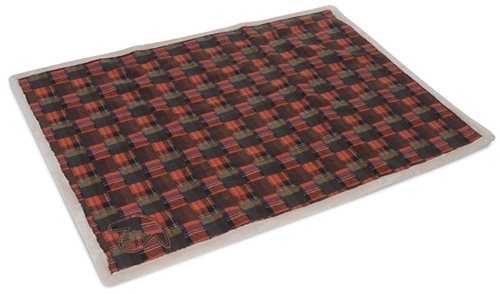 Its perfect for traveling with pets and protecting a vehicle as well as furniture. Throw has convenient should strap and straps keep it rolled up for ease of transporting. Throw has great, fun dog appliqué.